From Asha Bangalore, Northern Trust: One of the main tenets of supply side economics is that tax revenues would advance, not decline, following a reduction of tax rates. 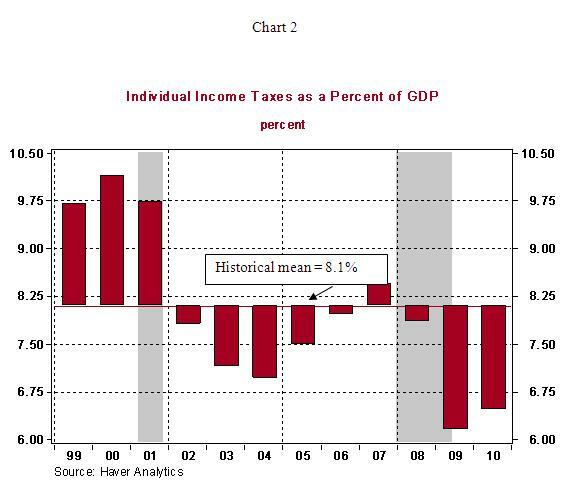 Contrary to these expectations, personal income tax revenues as a percent of GDP following the 2001 recovery came in below the historical mean of 8.1% for each of the years during the recovery/expansion period, with the exception of 2007 (see Chart 2). 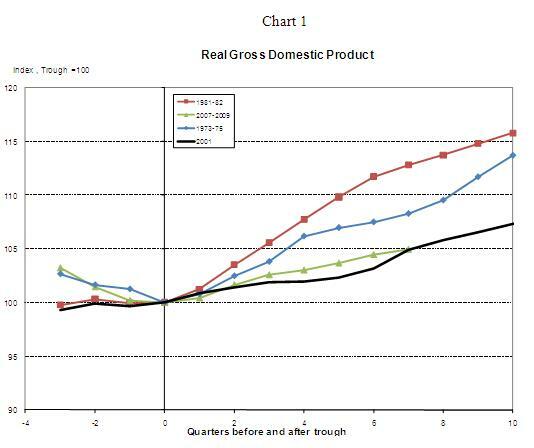 Also, the expected trajectory of economic growth did not materialize. As Chart 1 indicates, economic growth after the 2001 recession is the weakest in the post-war period (Recoveries prior to 1975 are not shown in the interest of keeping the chart reader friendly). Advocates of supply side economics/tax cuts also cite that the participation rate of the labor force increases as income taxes are reduced because work is favored in the work-leisure trade off in the new income tax environment. 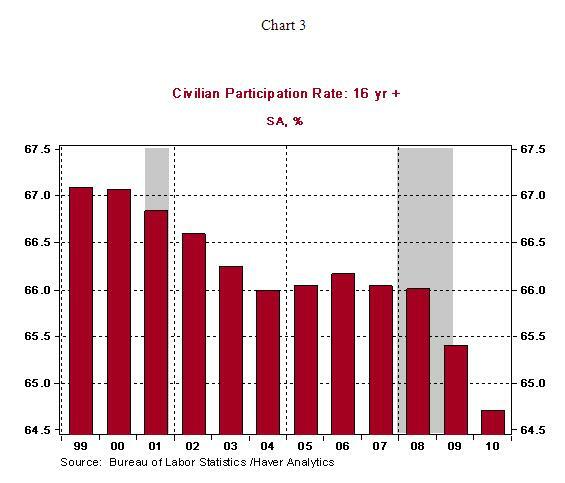 The participation rate stood at 66.8% in 2001 and fell to 66% by 2007 (see Chart 3), another proposition that failed to occur. Gain in productivity growth is cited as benefit of a reduction of personal income taxes. Of course, other factors play a role in raising productivity of the economy in addition to a favorable tax environment. However, on this front also, the economic recovery after the 2001 recession falls short of predictions. 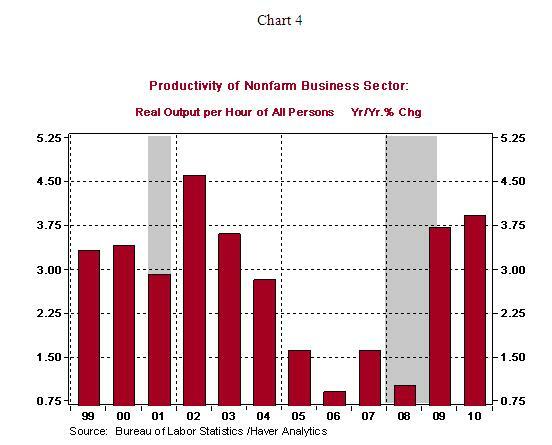 Productivity of the U.S. economy shows a decelerating trend in the recovery/expansion phase after the 2001 recession (see Chart 4). These metrics suggest that projected benefits of a reduction in personal income tax rates are not visible in economic data.